Ben Hogan had a huge impact on golf in the ​1940s and 1950s, on the course, and his impact continues long after his career ended and long after his death as golfers of all stripes look to Hogan for inspiration. Hogan was known for being taciturn, sometimes surly, with those he didn't know. He didn't suffer fools. But he could be warm and generous with friends. 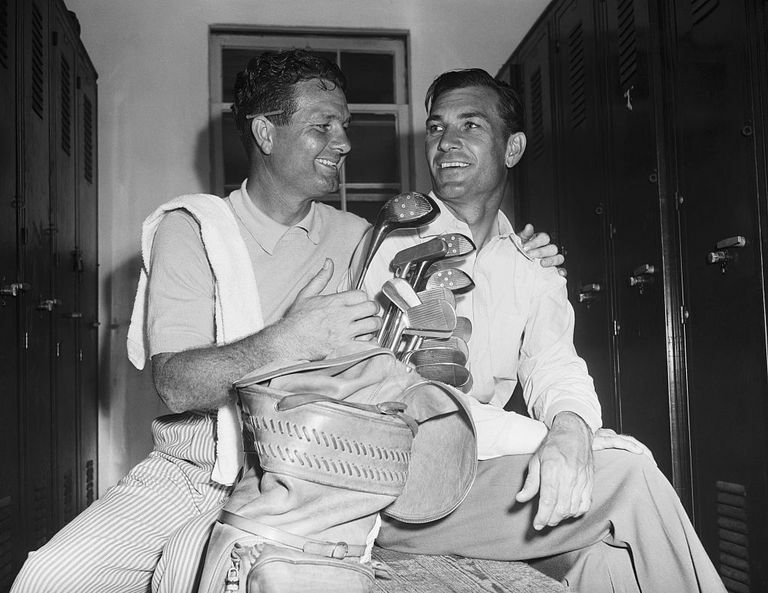 One of his friends, Jimmy Demaret, disputed Hogan's reputation for silence during play, saying, "When I play with him, he talks to me on every green. He turns to me and says, 'You're away.' "
Hogan was sometimes willing to give a good quote to sportswriters. He also wrote several books and collaborated on several magazine articles, from which some of the quotes below are taken. These snippets were spoken (or written) by Hogan himself. "I always outworked everybody. Work never bothered me like it bothers some people." "There isn’t enough daylight in any one day to practice all the shots you need to." "Every day that I missed practicing takes me one day longer to be good." "Selecting a stroke is like selecting a wife. To each his own." "I hate a hook. It nauseates me. I could vomit when I see one. It's like a rattlesnake in your pocket." "You never fight your eye when you look at a hole. If it looks one way, play it that way. Don’t make a big deal out of an easy shot." "For myself and other serious golfers, there is an undeniable beauty in the way a fine player sets his hands on the club." "I play with friends, but we don't play friendly games." "Relax? How can anybody relax and play golf? You have to grip the club don't you?" "People have always been telling me what I can't do. I guess I have wanted to show them. That's been one of my driving forces all my life." After winning the 1951 U.S. Open at Oakland Hills, the longest U.S. Open course to that time: "I’m glad that I brought this course, this monster, to its knees." After being congratulated for winning the 1951 U.S. Open by runner-up Clayton Heafner: "Thank you. How did you do?" When asked by a golfer for advice on why so many of the golfer's shots go left: "Why don't you aim more to the right?" "You only hit a straight ball by accident. The ball is going to move right or left every time you hit it, so you had better make it go one way or the other." "I have never achieved what I thought was success. Golf to me is a business, a livelihood in doing the thing that I like to do. I don't like the glamour. I just like the game." "Placing the ball in the right position for the next shot is 80-percent of winning golf." "You have to give careful thought to every shot. Every shot sets up what you are going to do next. Every shot has to be placed correctly. Don't ever just hit a shot without thinking it through." "I dreamed I made 17 holes-in-one, and the on the 18th hole I lipped the cup and I was madder than hell." "A good round of golf is if you can hit about three shots that turnout exactly as you planned them." Bonus quotes: Here are few things that those who knew him said about Hogan. Sportswriter Jim Murray: "For what Hogan meant, it's the old story: For those who know golf, no explanation is necessary. For those who don't, no explanation is possible." Tommy Bolt: "He was the greatest player I ever played with. If he could putt 25 percent as well as Palmer could, he would have won 50 more tournaments. Don't forget that he made all the putts he had to make to win his nine majors." 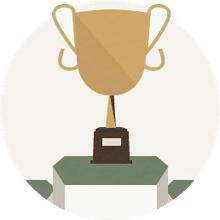 Writer Will Grimsley: "He was a cold, detached artisan on the course, likened by some observers to an undertaker weaving a shroud of defeat for his adversaries." Anonymous: "He looks at you like a landlord asking for next month's rent." Sam Snead: "The three things I fear most in golf are lightning, Ben Hogan and a downhill putt."